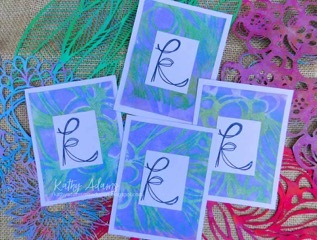 StencilGirl Talk: Kathy Adams with TWO StencilGirl Video Tutorials! Kathy Adams with TWO StencilGirl Video Tutorials! Hi, Everyone! Kathy Adams here! 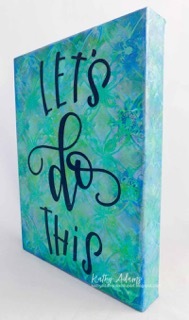 I’ve been a fan of StencilGirl stencils for many years and have tons of them, with a wish list too long to count!! 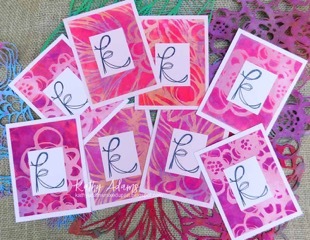 Stencils are a great way to get started with your own art and I find them to be a great jumping off point for the many ideas that swirl around in my head. 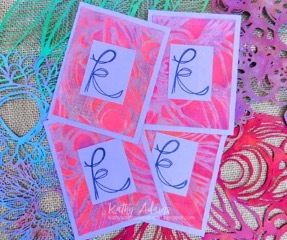 Today I am sharing two projects using a few of my favorite stencil designs. I hope that you are inspired to try these techniques and I would love to hear your ideas and even see what you made in response. I’ve prepared a video for each of the projects so that you can see my creative process. Enjoy! Sometimes when I am feeling uninspired, I open an art journal and make backgrounds. In this video, I show you my favorite technique for making backgrounds using stencils. 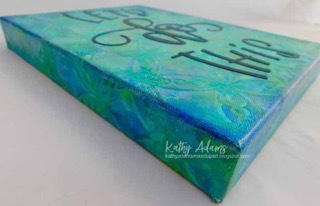 Instead of using an art journal, I used this technique to make a fun canvas. Watch StencilGirl Stencils Layered Background Technique here. 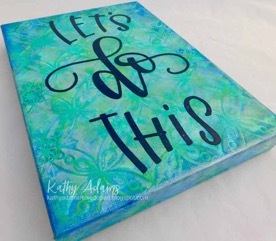 Check out my blog post at https://kathyadamsmixedupart.blogspot.com/2017/08/guest-artist-on-stencilgirl-today.html for more ideas using this technique. 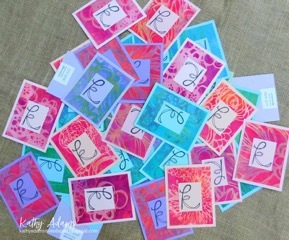 I have an online business and always send a thank you note with every sale. I also occasionally sell my art and need information cards. 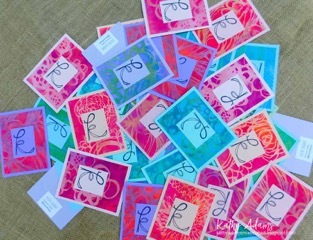 For my next project, I will share how I created art cards using my favorite stencils and the Gel Press Plate. I try to keep it simple so that I can make a bunch at a time. I print information on Avery labels (Avery.com allows you to print on any label they make!) and stick them on the back, leaving room to write a thank you. 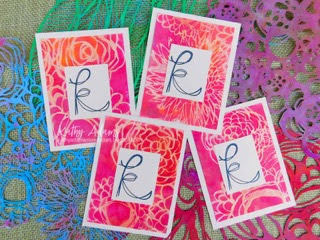 Watch Art Cards With StencilGirl Stencils here. Thank you so much for visiting the blog today. 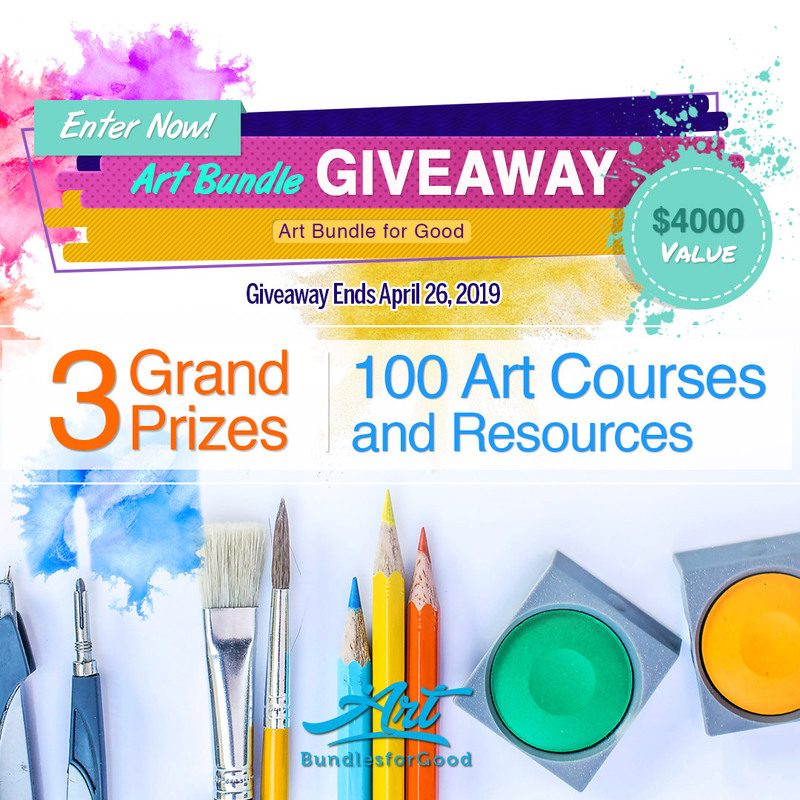 I’d love to hear your thoughts and ideas so leave them below in the comments! thanks for sharing. I enjoyed watching your process. Simple techniques with dramatic results!